In everyday life we are constantly confronted with situations in which we wish we could be clear about our true needs or better understand the behaviour of others. This is precisely what Walter Rotter’s method is about. With birthdate and birth hour as a basis and with a personally developed typology, the character of every person can be determined very quickly. The author reveals step by step how we can reform our mental attitudes so that we can act more assuredly and make full use of our potentials in both private and professional lives. 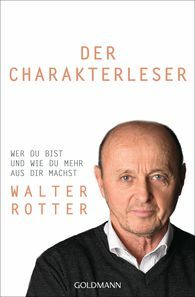 Walter Rotter shows us that each of us has potentials that we can discover and live out, even when confronted with external factors. At the same time, this book opens up the possibilities of finding better connections to oneself and to others, which will have positive effects on career, finding a partner in life and nurturing a relationship, and being able to enjoy life overall.